Get this D-size Stamp of the Month set for a deal with a minimum qualifying purchase! 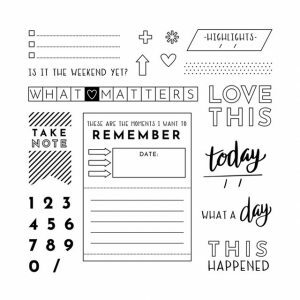 Add the stamp set to your cart on this page at full retail price or, with your qualifying order, add it at checkout for the promotional price. Set of 26. 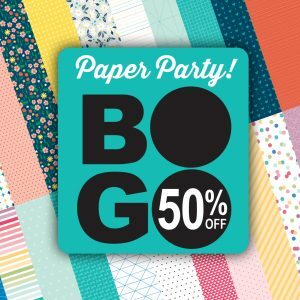 Buy any paper packet or coordinating cardstock, get one 50% off! As a papercrafter, you can never have too much paper! That’s why we’ve invited you to join us for a Paper Party all month long! Buy any paper packet or coordinating cardstock this month and get another of equal or lesser value at 50% off! 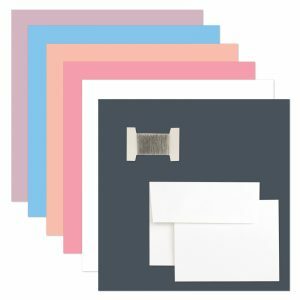 For convenient ordering, we’ve also created some bundles that pair each paper packet with its coordinating cardstock at the discounted price. or by hosting a qualifying party this month! Ask me how by leaving a comment. Make a Set of 12 Charming Cards Using this Exclusive Stamp Set and Workshop Kit! What better way to express appreciation and love than with handmade cards? 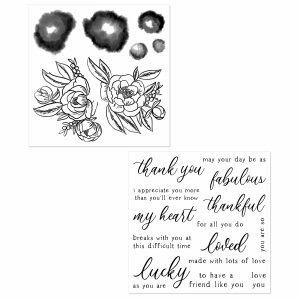 Create the beautiful cards shown above using the exclusive Love Blossoms stamp set and workshop bundle. 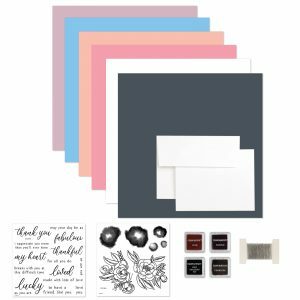 Not only will you get a set of 12 cards, but you’ll also have fun using stamps and embossing folders to decorate them. Get a 20% discount when you purchase the Love Blossoms Workshop Kit or the Love Blossoms Workshop Kit + Embossing Folder. 12 white card bases & envelopes. Choose from the following options. See the following link for more information.